Blackbeard the Pirate may be the most famous pirate ever known, and his legend, his legacy, and his ghost remain with us to this day. His proper name was Edward Teach. 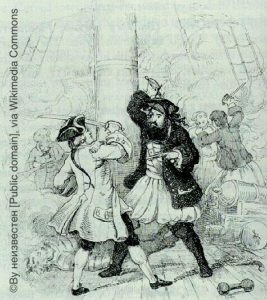 He gained the nickname of Blackbeard from his long mass of tousled black hair that whipped around his head, as well as his scruffy black beard. The combination gave him a dark, forbidding look, and it was reported at times that he would place lit fuses under his hat that would shower his face in sparks, in order to further intimidate and scare people. Reports of Blackbeard’s ghost began in the 1800s. Locals reported seeing and hearing an epic battle with ghostly ships and men waging war against each other near Bath Creek and the inlet. Massive balls of fire were also seen moving back and forth across the water toward the ships. Legends state that Blackbeard’s ghost most often appears right before a storm rages along the coast of Ocracoke, Bath, Albemarle, and Pamlico Sound. He seems drawn to the sea when the waves pick up and are thrashing, and some say he is looking for his head. There is often a light seen accompanying his ghost, which is referred to as Teach’s Light. Blackbeard continues to roam the coast of North Carolina and is said to frequently visit the coastal towns where he once lived. On a dark and stormy night, don’t be surprised if you run into the pirate walking along the coast. Journey with author Kala Ambrose as she explores the most terrifying paranormal spots in the state of North Carolina in her book Ghosthunting North Carolina. My favorite part of Tarboro is the historic area, which is a 45-block district with more than 300 residential homes, historic churches, and many nineteenth-century buildings still stand­ing and in use. Tarboro also has a 15-acre park with war memori­als and a town common. I visited Tarboro in 2010, as the town celebrated its 250th anniversary. 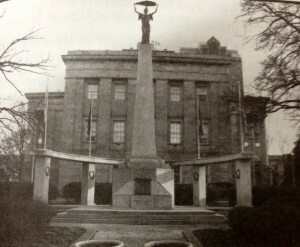 The celebration included a variety of events based on the town’s history. Driving around the Tarboro historic com­mons, one senses how ripe it must be for ghostly activity. In 1863, 800 Union soldiers engaged in a five-day attack on Green­ville, Tarboro, and Rocky Mount, destroying steamboats and supplies in Tarboro. As we’ve already seen in these investiga­tions, the Civil War made its mark across North Carolina, and many ghosts remain to tell the tale. Where is the Haunted Blount-Bridgers House? In the historic district is the haunted Blount-Bridgers House, a Fed­eral-style plantation home built in 1808 by Thomas Blount. Blount built the plantation, originally called the Grove, on 296 acres of land. 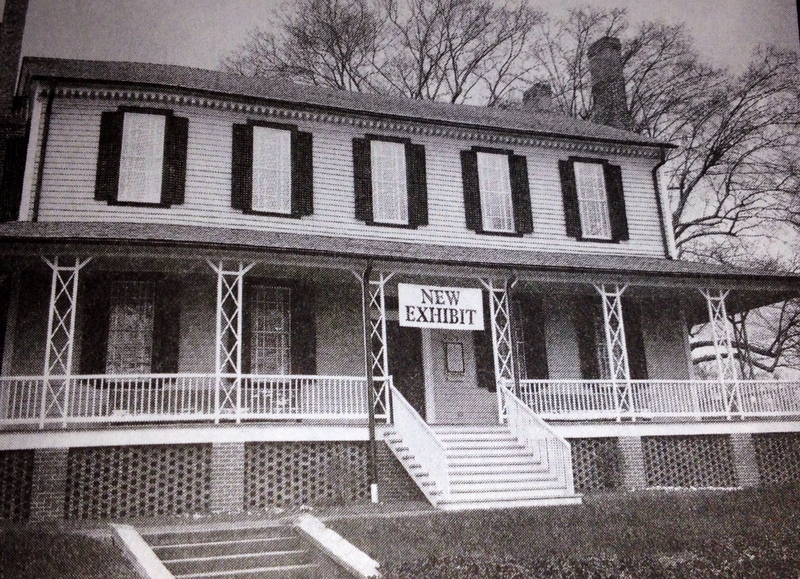 Throughout the years, the house seemed to wel­come and favor military men. 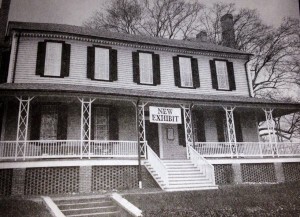 Thomas Blount lived in the home from 1808 to 1812, Col. Louis Dicken Wilson lived there from 1831 to 1847, and Col. John Bridgers lived in the home from 1850 to 1880. During the American Revolution, many of the locals fought valiantly in the war, including Thomas Blount, who became a prisoner of war in England. He was eventually freed and returned to North Carolina to help create one of the largest shipping companies in the late eighteenth century and later served in the U.S. House of Representatives. Colonel Wilson served in the North Carolina Senate and fought in the Mexican-American War, and Colonel Bridgers is best known for his service as a commandant in the Civil War, where he served at Fort Macon. 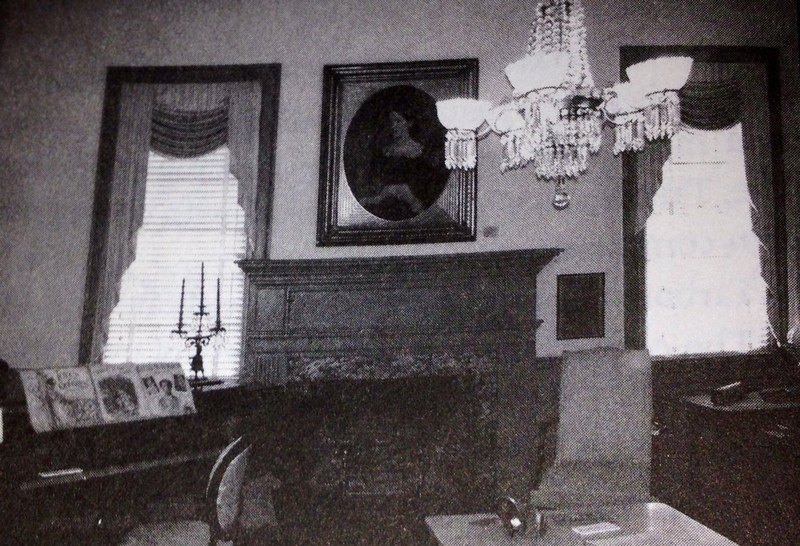 The Blount-Bridgers House served as a public library and a dance studio before it was turned into a museum in 1979. It fea­tures a nice collection of nineteenth-century furniture along with the art collection of Tarboro-born Hobson Pittman. The home is welcoming with wraparound porches, which I love; I could spend an afternoon here just relaxing and chatting on the porch. While taking the tour of the haunted Blount-Bridgers House, we were guided to two areas of the home where a female ghost has been seen and felt by visitors and staff. Many presume the ghost to be Jackie Blount, and she is most often seen in the parlor and the art room displaying Hobson Pittman’s art. Apparently a lady of good taste and breeding, she has a love and appreciation of art and likes to show her Southern hospitality by greeting guests who visit her home. During my research and conversations with local residents, I learned that the ghost, Jackie (Mary Jacqueline Sumner Blount), was the wife of Thomas Blount and part of the Sumner fam­ily connected to the Mordecai House in Raleigh. I write more about the Mordecai House in the Central Carolina section of this book, as it is also haunted. This led me to wonder: Do ghosts visit all of their family homes and haunts, much as they used to travel back then between their winter and summer homes? Could the ghosts of the Blount-Bridgers House also be haunting the Mordecai House? 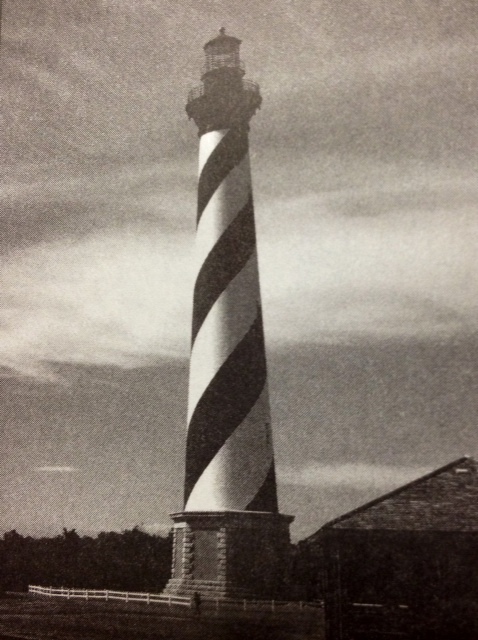 Did Jackie still spend time between the two cities, coming and going according to social occasions in spirit, and was John Bridgers enjoying the Blount-Bridgers home in the afterlife while also spending time checking on his troops at Fort Macon, which is also haunted? Most likely, we’ll never know for sure, though it is interesting to ponder. I also find it fascinating that the more I travel and inves­tigate throughout the state, the more connections I find between haunted areas, historic sites, and family trees. Some people leave such an impression by their lives that their presence continues to be felt in every location where they lived, fought, and loved. While visiting Tarboro, I also learned about the gravesite of Civil War Gen. William Dorsey Pender, who is buried in Cal­vary Churchyard in Tarboro. He was fatally wounded during the Battle of Gettysburg. Many locals say that his ghost is still around today and has been seen in both the church graveyard and in the town commons area. He’s reported to be cordial and a true Southern gentleman. What I found most romantic about his story is that the letters that the general wrote to his wife were collected and published almost 100 years after his death in a book titled, The General to His Lady: The Civil War Letters of William Dorsey Pender to Fanny Pender. When I travel to towns, I generally get a feeling about the area and how it’s doing economically, emotionally, and otherwise. My feeling about Tarboro is that it’s on its way up, and about to experience a renaissance and period of new growth and expansion. 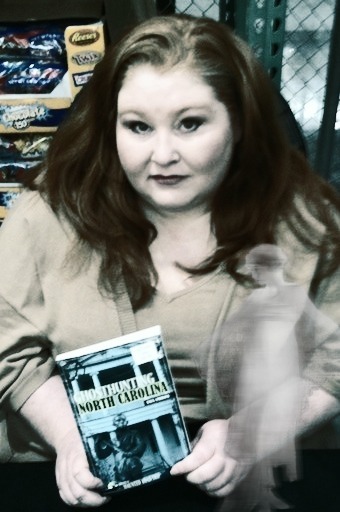 History in the making is occurring in Tarboro, and the local ghosts couldn’t be more pleased. For more information on the haunted Blount-Bridgers House click HERE. Want more spooky stories of Ghoshunting in North Carolina? 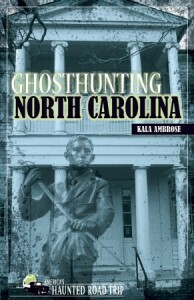 Check out Kala Ambrose’s book Ghosthunting North Carolina.